Our MISSION is to train up young visionary leaders who are thoroughly equipped to answer the call of God whenever it comes, wherever it leads, and whatever it costs by developing Renewed and Skillful Minds, Strong Hands to Serve, & Burning Hearts for Jesus. Our Core Values are: Faith, Honor, and Calling. The Three Core Programs of CCS: Spiritual Formation, Academics, and Leadership. At Community Christian School, every child who wishes to learn will receive a superior education. 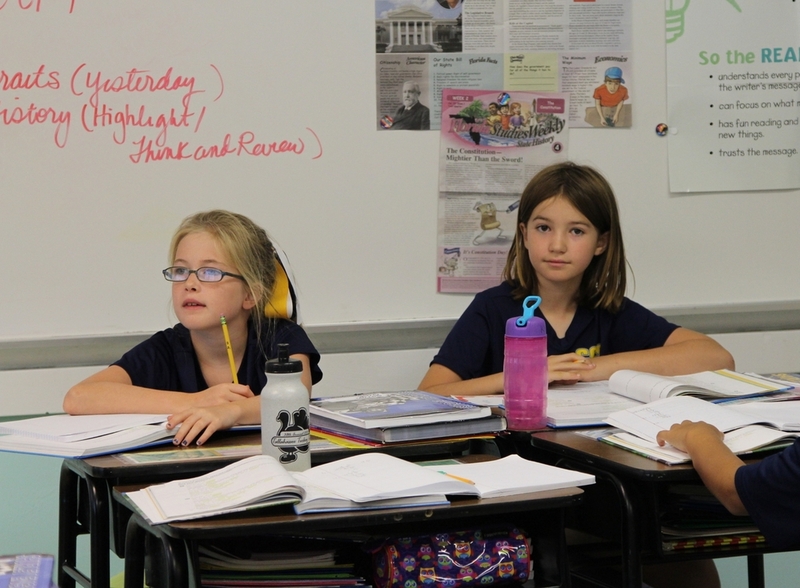 Through a carefully designed educational plan that includes small classes, a comprehensive curriculum, challenging and interesting activities and a highly trained and dedicated faculty, Community Christian provides students in kindergarten through high school an educational setting that encourages them to reach their full academic potential. Community Christian is fully accredited by the Association of Christian Schools International and Southern Association of Colleges and Schools. Broad Perspective: Community Christian School is an independent, interdenominational school guided by a parent Board of Directors. A Christian World View: Through a curriculum based on Christian principles, students learn to appreciate the great works of the past, understand the intellectual foundations of the world in which they live, utilize the tools of mathematics and the sciences, appreciate the arts and culture, and develop the intellectual skills and disciplines which make a lifetime of learning possible. A Christian world view is the foundation for all learning at Community Christian. * A variety of instructional formats. * A school environment structured to enhance teaching and learning. * An emphasis on Christian values. * A true partnership of home and school. * A curriculum rooted in tradition yet infused with innovative principles from current educational research. * An educational program that includes the total development of the child: intellectual, emotional, moral, physical, social and spiritual. Community Christian School admits students of any race, color, national and ethnic origin to all the rights, privileges, programs and activities generally accorded or made available to students at the school. It does not discriminate on the basis of race, color, national or ethnic origin in administration of its educational policies, admissions policies, scholarship and loan programs, and athletic and other school administered programs. Christian education is distinctive in that it presents all subject areas in the context of God’s view of the world. When a student is taught from a Biblical worldview, by a teacher with a personal relationship with Jesus, the result is Christian Education. The student develops higher level thinking skills, character qualities, and a work/study ethic based on an understanding of what the Bible has to say about life. All of his life choices are made based on his understanding of the Bible and the plan God has for his life. Students are encouraged to develop their intellect to its fullest potential through cultivating the habits of mind that enable them to become life long learners. It is our desire that students who leave CCS will encounter and impact today’s culture with the ability to think Biblically, defend their faith and manage their personal and professional lives in a way that will bring honor to God.